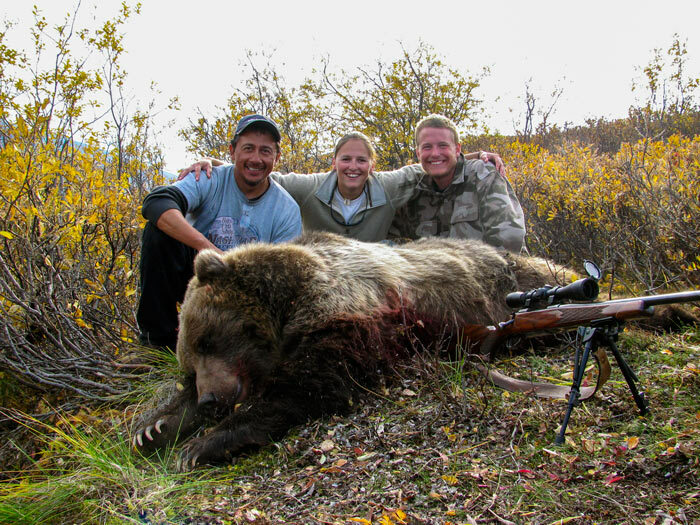 Ovis Outfitters is owned and operated by Matt and Emily Thoft of Palmer, Alaska. Matt, growing up in Montana, has been hunting ever since he can remember. He spent the majority of his teenage years chasing elk with his bow, until the adventure of flying and hunting in Alaska drew him north at the age of 17. He started his professional guiding career at 18, and has been at it ever since. Matt is a commercial, instrument rated pilot, as well as, a certificated airplane mechanic. He loves time in the air showing off the wilds of Alaska, which is a good thing since he does most of the flying with some help from other highly experienced commercial pilots. Emily also grew up with hunting as a way of life, and has spent countless hours chasing game from Montana to Alaska. After obtaining a degree in Wildlife Biology in Montana she followed the draw north to Alaska to adventure with Matt. 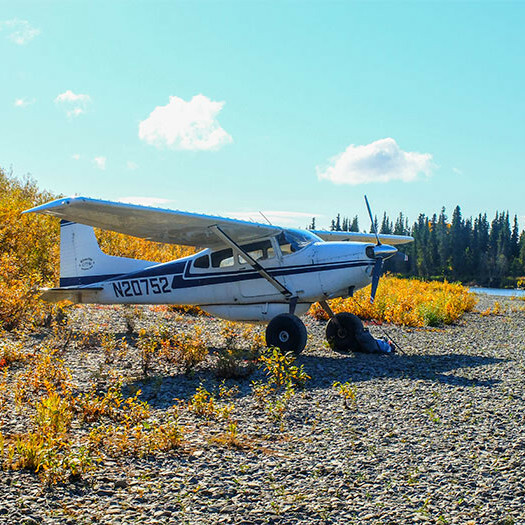 She is one of the few female Registered Guides in Alaska, as well as a licensed pilot. They feel very fortunate to have turned their passion into a career and way of life; to them it’s not a job and it shows. Ovis Outfitters owns and has exclusive use of three meticulously maintained and highly specialized airplanes. This allows us to make you the number one and ONLY priority. Whether it is moving you to better hunting grounds, resupplying camp, or getting you in and out of the bush per your desire we are there at beckon call. We have two pilots standing by at all times meaning you will never be waiting on us! 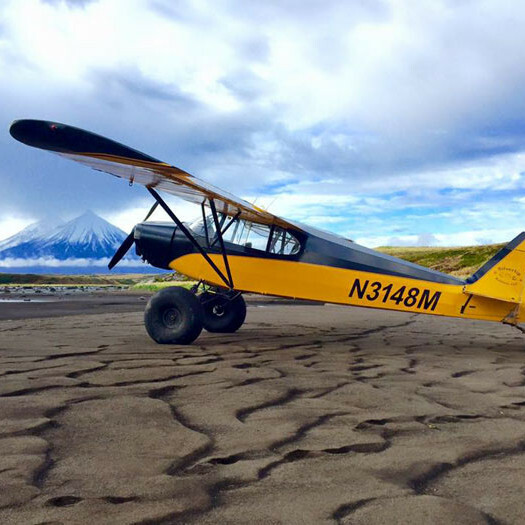 N3148M is the newest member of the Ovis Outfitters fleet, and is a highly modified PA-12. This is an ideal workhorse for Alaska. Its 180 hp motor combined with extended flaps makes it ideal for hauling up to 2 passengers in and out of the field. N20752 is a 1976 Cessna 185. With an IO-550, wingtip extensions, vortex generators, a belly pod, and 29″ tires, this is the ultimate off airport work horse! This plane is fast and can haul up to 3 passengers. N4441Z is a 1969 PA-18 with a 160 hp engine and 35″ bushwheels. 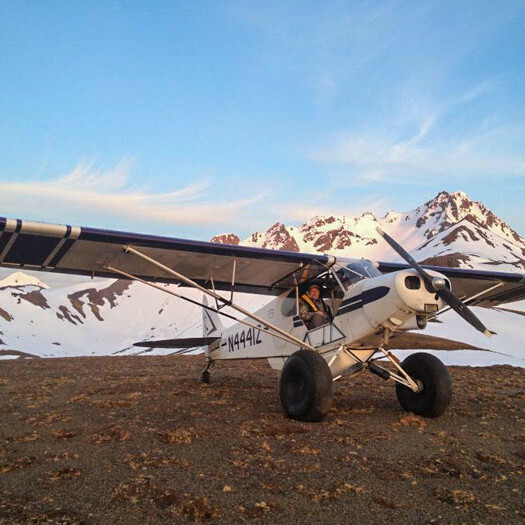 ‘Zulu’, as she is called, can haul one passenger at a time and loves to explore the wild places of Alaska.